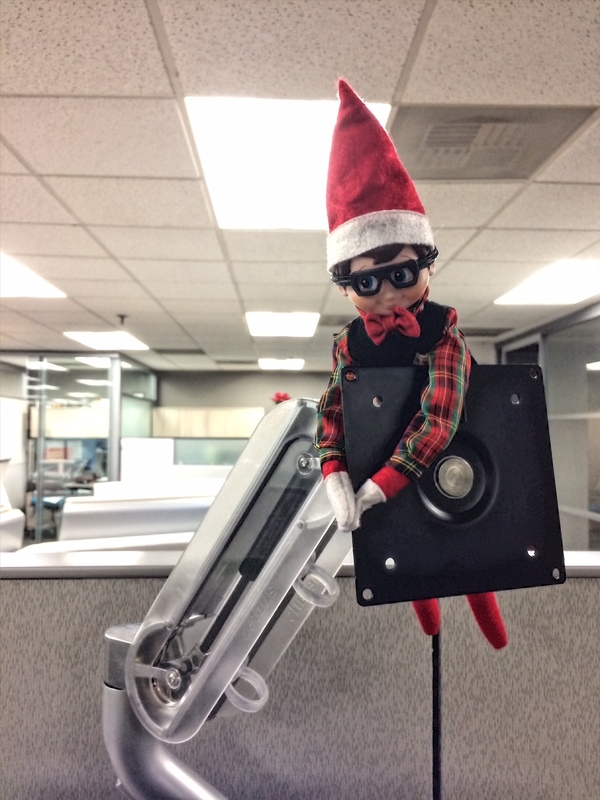 Today Eddie the elf is hanging around the office with Dash. Not Dasher the reindeer, Dash by Steelcase, a high-performance LED task light that is offered in many different colors. Dash has an optional Passive Infrared (PIR) occupancy sensor that will turn the light off when it is not in use to save energy and lengthen the lamp life. The design also features a convection airflow solution that minimizes heat transfer, keeping the light head from becoming hot. The classic design of Dash offers the ability to complete a space or give it a splash of life so choosing this light for someone’s workspace is simple. 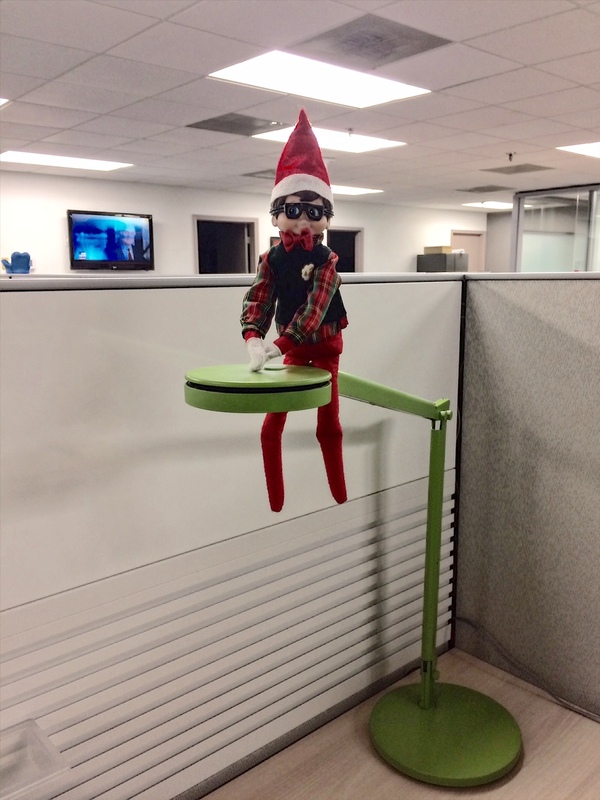 Another great gift idea that is also quite fun for Eddie to hang around on is the FYI Monitor Arm by Steelcase. They are available in single or dual models and adjust quickly without using any tools. This monitor arm puts the screen in the right position for any user and any posture, reducing eye and muscle strain which increases the users comfort. The FYI monitor arm has a built-in counter-balance tool for easy balance of the monitor, rotation that allows for landscape or portrait viewing and a tilt mechanism operating through a range of twenty degree backward tilt and thirty degree forward tilt. Both Dash and the FYI Monitor Arm are available in multiple mounting options so they would make a perfect gift that anyone on your list will love.